Sometimes Africa is not that far behind the world. For example, it did not take this small business very long to get with the trend and open a Barack Obama ‘Change your look, yes we can’ hair cut salon. To see this picture close up click here. 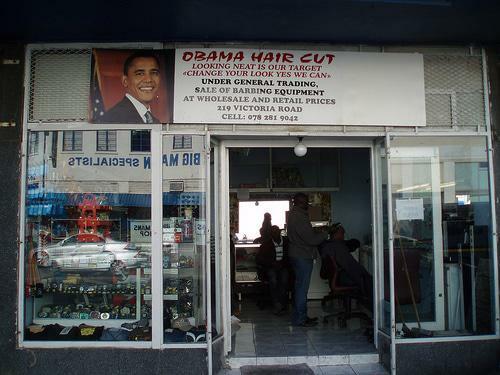 This entry was posted in Blog and tagged Africa, Barack Obama, barber, Change your look, hair cut, obama, salon, South Africa. Cool idea for a name of a hairdresser-salon!